Are your energy bills too high? We can help you if you need a new air conditioning system or new heating system. Upgrading your heating system can help you save money, make your home more comfortable, and improve your home’s energy efficiency. Today, R.A. Biel Plumbing and Heating will discuss the features and benefits of both oil and gas furnaces. Before choosing your furnace, you’ll first need to understand the Annual Fuel Utilization Efficiency rating. This rating measures the efficiency of a machine’s combustion, and the higher the rating the better it is. The majority of today’s oil furnaces have AFUE ratings between 80% and 90% while gas furnaces have ratings between 89% and 98%. New furnaces are more efficient than furnaces installed 10 years ago by as much as 30%. Gas furnaces are more efficient, while oil furnaces are more affordable. Natural gas furnaces have higher heating efficiency, require less maintenance, and are quieter than oil furnaces. However, they provide less heat per BTU and cost more than oil furnaces. In addition, to use a gas furnace, your home must be located in an area where a gas supply is available. Finally, the fuel used by gas furnaces costs less. 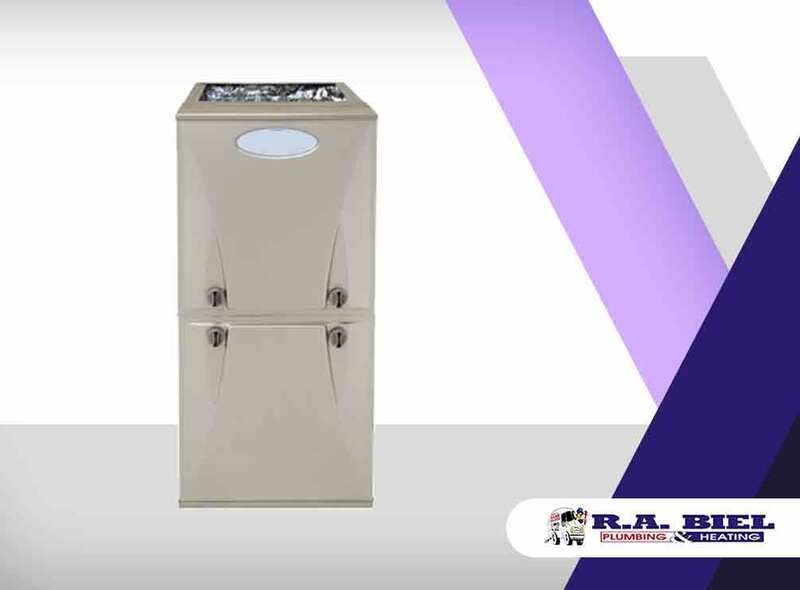 Since there are a lot of trade-offs and factors involved in determining whether you can save more with a gas or oil furnace, call R.A. Biel Plumbing and Heating, your trusted HVAC and plumbing repair expert. We can figure it out for you. As mentioned earlier, oil furnaces provide more heat per BTU, however they need an on-site storage tank and oil must be delivered to your home. Oil furnaces also require maintenance to change oil filters, remove dirt and soot buildup. Fortunately, this can be easily done by a professional. Oil furnaces cost less to install than gas furnaces but they are marginally less efficient and their fuel costs more. You can count on R.A. Biel Plumbing and Heating for your new heating system installation because we’ve been helping local homeowners since 1988. Our qualified technicians have completed all sorts of HVAC and plumbing projects. We also offer our customers industry-leading Carrier® products that are made with the most advanced technology. Call us at (505) 672-7888 or at (970) 884-3358 to learn more about our services and products.